I was thinking of upgrading my Tiagra derailleur with new 105 FD-R7000, but then I read that it might not be compatible with my 105 5800 crankset because the new R7000 crankset has different spacing between chainrings. Will I have a problem if I upgrade to a R7000 front derailleur with 5800 crankset? 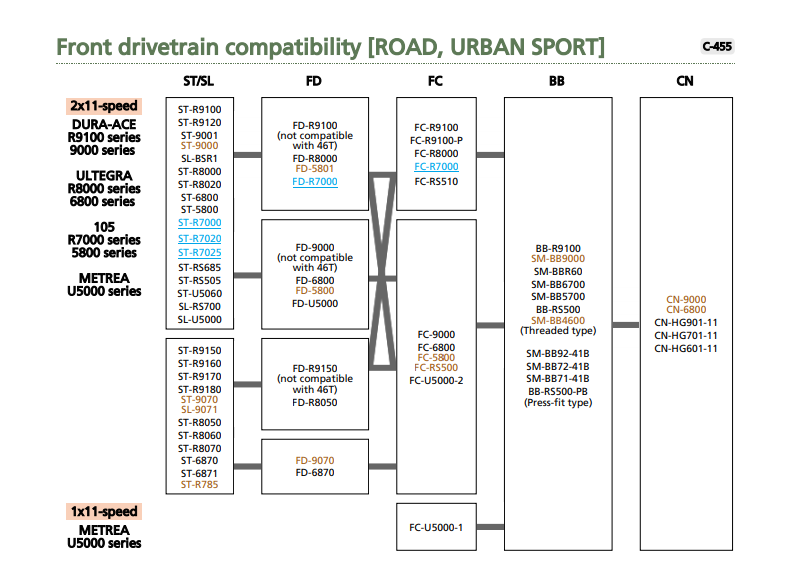 Shimano lists the FD-R7000 front derailleur as compatible with the FC-5800 crankset in their products compatibility information, but the R7000 crankset wont be compatible with the old derailleur. Not the answer you're looking for? 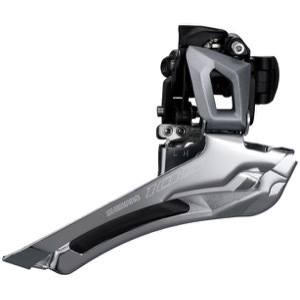 Browse other questions tagged shimano compatibility derailleur-front or ask your own question. 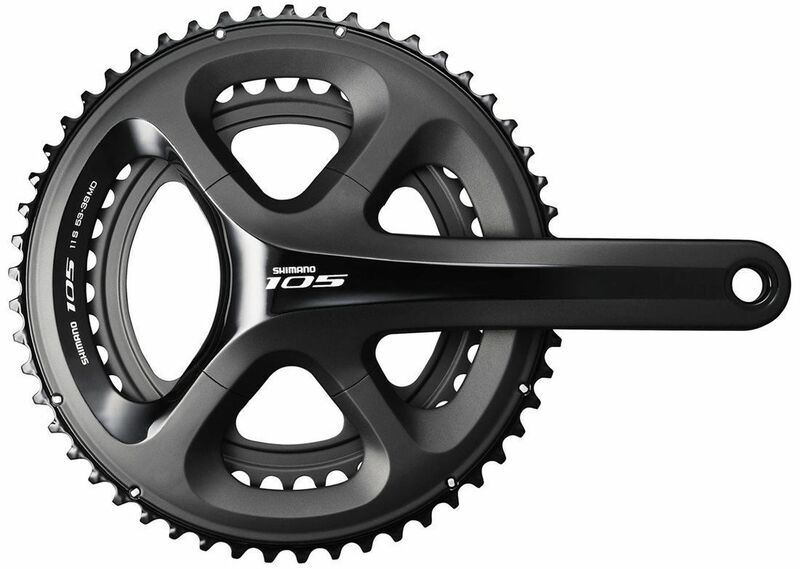 Is the 9-speed Sora crankset compatible with 105 11-speed chain? Upgrading from 50/34 to 50/39 with Shimano Sora? Are Shimano 105 R7000 STI Levers compatible with the older R5800 deraillers?